Asia Foods are a family run business making noodles since 1971. We are one of the pioneers in manufacturing pre-steamed noodles. We successfully developed our unique technique by constantly listening to our customers’ feedback in order to produce the best quality steamed noodles. We use only the highest quality ingredients which are all sourced locally. This ensures a reliable and high standard of produce. 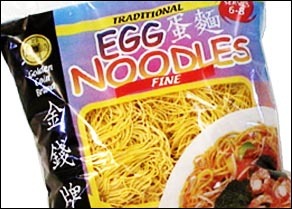 We manufacture two types of noodles: Chop Suez Noodles and Extra Fine noodles. These are both widely used in Chinese restaurants and takeaways. Our noodles are easy to cook because we want to make sure everyone can enjoy them. It’s simple; just stir fry for a crispy and delicious meal! It’s perfect for businesses or those who want to cook authentic noodles at home for their family and friends. We have two brands that are marketed by our company: Gold Coin and Lucky Dragon. Gold Coin is our premium brand for those who want to indulge in luxury. 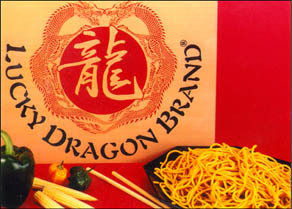 Lucky Dragon is for the more cost conscience buyers who still do not want to compromise on the quality of noodles. We can also provide a bespoke manufacturing service by customer’s specification. Our technical team, with their wealth of experience and knowledge, can develop products to suit the specific needs of different customers. Just get in contact with us and we can work with you to create the best product for you. Our products are sold both in the United Kingdom and in Europe, and comply with all the latest standards and regulations. We take pride in our factory being a hygienic and controlled environment.